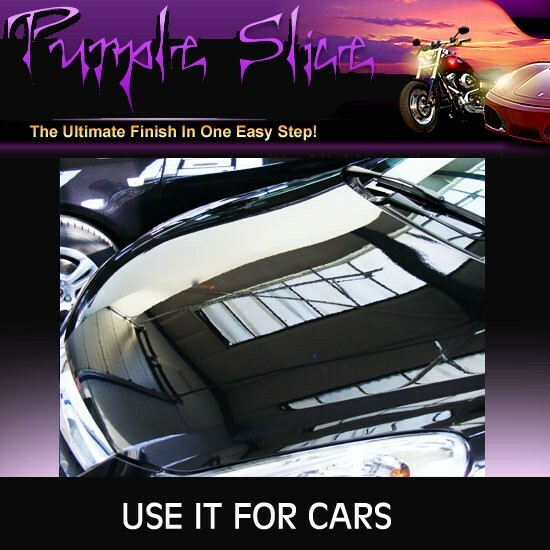 Click the button below to add the 32oz Purple Slice Cars Motorcycle Care All Purpose Liquid Polish Spray SHIPPING INCLUDED to your wish list. 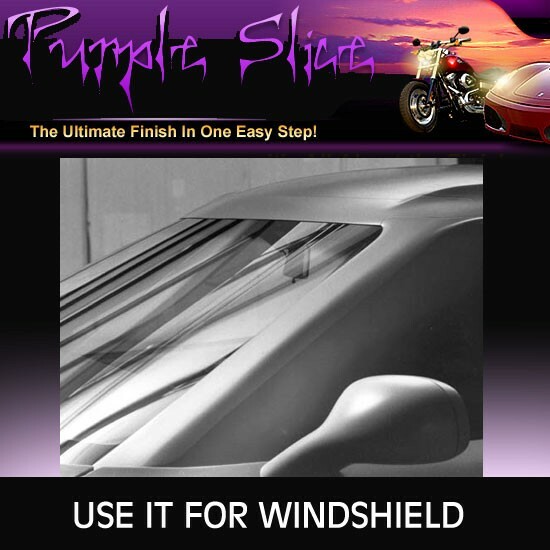 This is a bottle of 32oz Purple Slice, the world's most Revolutionary and Advanced Speed Detailers The only product in the market that Guarantees "NON-STREAK"! Purple Slice is 90.5% organic and absolutely non toxic. As easy as "Spray and Wipe!" with guarantee solution. Let Purple Slice amazes you by itself. Use it almost on anything and see it shine and lasting." THE ULTIMATE FINISH IN ONE EASY STEP! JUST SPRAY AND WIPE! 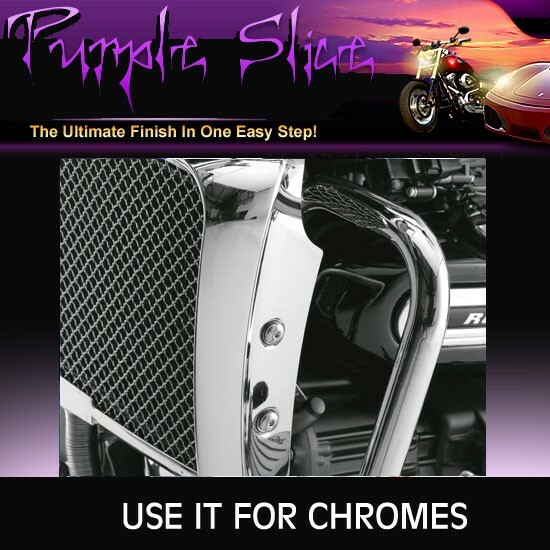 Purple Slice is a spray-and-wipe liquid wax originally formulated for automotive and motorcycle detailing. 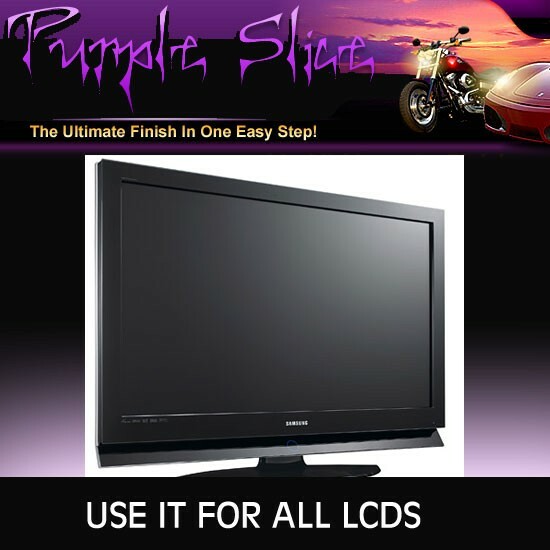 Purple Slice is also pr oven to enhance many areas of the home and office. Purple Slice is a very easy, time reducing spray-and-wipe wax product, and we recommend the use of "Micro Fiber" towel or cloths for the best results and to prevent scratching. Purple Slice is a 90.5% organic product, contains no solvents or toxins, and is safe to use around children and pets. Purple Slice is a liquid was without separation so there is no need to shake prior to use! Stop using the car care kits that requires to apply different solutions at a time when detailing your vehicle, use Spay and Wipe Purple Slice once for all!! Recommend to rinse the car before spray. Use on your cars to see it shine. Removes oxidation , tar, grease, oil, bug splats, sap,droppings and other contamination. Last up to 6 weeks!! Use on your motorcycle and see it amazingly details it. 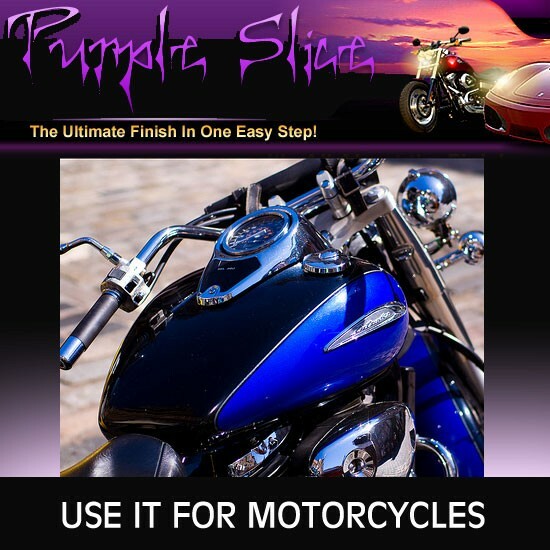 Purple Slice is recommended and sold in some Harley Davidson stores. Great on chrome and wheels! Use it and see it yourself. Use on your cars windshield and see the water repelling from it! Absolutely no streaks left on surface after use. 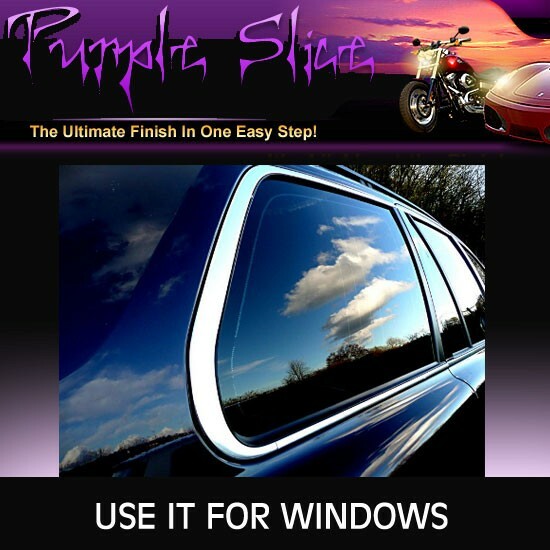 Use on all of your windows for cars or home and be amaze!! Use on your all LCD screens and see what we meant by non streaks. 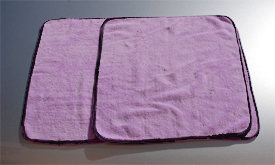 It's recommended to use the micro fiber cloth with Purple Slice for the best result. PURPLE SLICE IS CURRENTLY SHIPPING WITHIN U.S. ONLY. 2 Way Car Security Alarm System LCD Remote Engine Start ALL FEES INCLUDED!